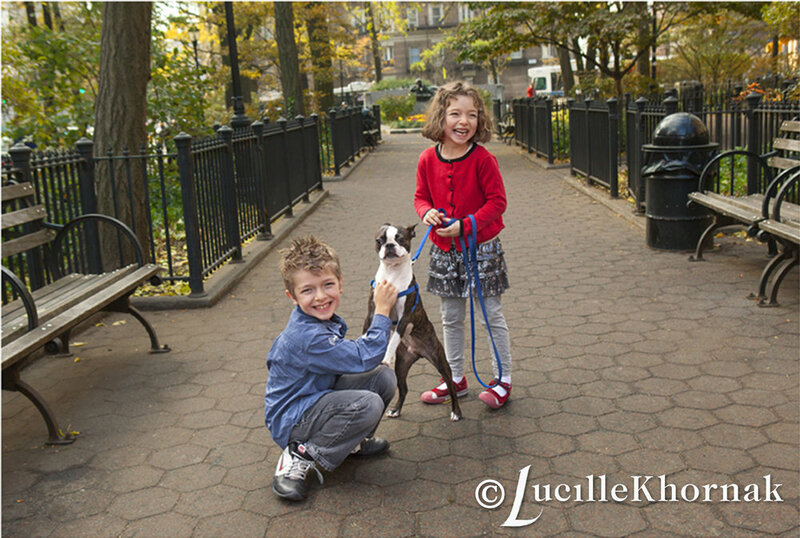 Lucille Khornak Photography -- What Do You Get When You Give? What Do You Get When You Give? It’s the season of giving! This time of year brings a lot of us together in the spirit of gratitude for the things we have. Many of us will have joined recently with friends and family to say “thanks” for all the possessions, the people, and the experiences of our lives, and what a great and beautiful thing that can be! I wonder though, what if we could channel that same level of positive energy in our everyday lives? Is it possible to constantly give thanks, or show gratitude through acts of generosity without feeling depleted? What exactly do you get when you give to others? The answers to these questions can be a bit different depending on your situation, however, it is certain that giving can allow you to feel a stronger sense of connection with others. Think of your children for example. The love and care you’ve given to them from the time they were little is perhaps the biggest reason for the strength of your relationship with them. Consider your best friend- someone who has been there to support you in every situation of life regardless of how tough things may seem to get! Acts of generosity are a way for us to show someone just how grateful we are to know them, and sometimes it can simply be the way we express our thankfulness that we have the ability to give to others who may be in need. Either way, generosity can be recognized both as a response and a sustainer to feelings of positivity! Maybe that’s the key! Maybe if the purpose for our generous acts are aligned with the needs of the receiver, then we can also feel fulfilled when we give. Think of it this way- when you give your dog a meal or a toy, do you feel more empty or more full than before? Chances are, you feel more full because you understood Fido’s needs, and now you are happy that you were able to satisfy them! As a professional family photographer, I am constantly giving of my time and my talent. Of course it is my job to take images that are soulful, whimsical, and energetic and capture fun memories for the family, however, in my work I’ve learned that it is the experience that makes a moment worth documenting. I’ve learned that what keeps me from ever feeling exhausted or empty when delivering goods and services, is the fact that I get to really connect with the recipients of my work. What I hope you’ll take away from this reading, is a powerful tool that will help strengthen your spirit of gratitude. The exercise below is designed to keep you focused and energized, so that you feel the positive effects of being more generous towards others. Shift Your Focus From What You Have to Do to What You Get to Do! When clients book photo sessions, I get to speak with them to learn about them and their family. When we we meet for the shoot, I get to earn their trust and interact with them on a very personal level. When we make the final choices for custom-made print and book orders, I get to know what they enjoyed most about the experience my team has facilitated so far. And when the final product is ready, I get to deliver it to the client and perhaps it brings up special memories of the moments we created while documenting the love and positivity that exists in their lives with loved ones! That to me, is what you get when you give. Although Thanksgiving is over, we can still live out every day of our lives in gratitude! Tell the people in your life how much you appreciate them, and be intentional with your words. Give in a way that is honest and meaningful, and you will never have to worry about feeling depleted. Always remember to document positive experiences and fill your homes with beautiful photographs of loved ones to increase feelings of happiness and love in your life.